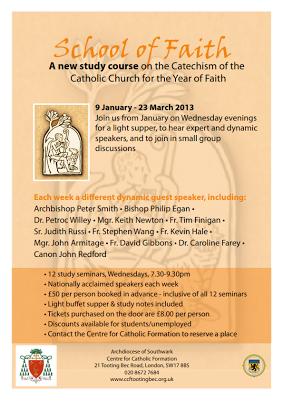 Liam Connnolly has organised a Study course on the Catechism of the Catholic Church as part of the Archdiocese of Southwark's provision for the Year of Faith, under the auspices of the Centre for Catholic Formation at Tooting Bec. The course is running over twelve weeks and people can either sign up for the whole lot, or choose to come for the sessions that they want. Completing the whole course and an assignment counts as a module for the Certificate in the Catechism of the Catholic Church awarded by Maryvale. I was impressed by the number of people who came - I think it was in the region of seventy or so people and apparently most of the participants have signed up to the whole course. The course covers nn.1-421 of the Catechism. This evening I gave a presentation on nn.268-294 on "The Almighty" and the first part of "Creator". Speakers have been left to approach the material in different ways. I chose not to go through all of the articles in detail since the participants have a course book and I expect that with the commitment they have shown, they will read the text of the Catechism carefully. I opted to focus on the themes of God's plan in creation and the place of Christ, as well as looking at the question of science and religion, finishing up with the theme of creation giving glory to God and the link with the sacred Liturgy and the thanksgiving of the whole of creation offered through Christ to the Father. The discussion groups seemed to be lively and purposeful and there were some good, positive and challenging questions at the end before we finished with Compline. It meant a late journey home for me but it was encouraging to work with such a committed gathering from all over the Diocese (and one or two from further away.) 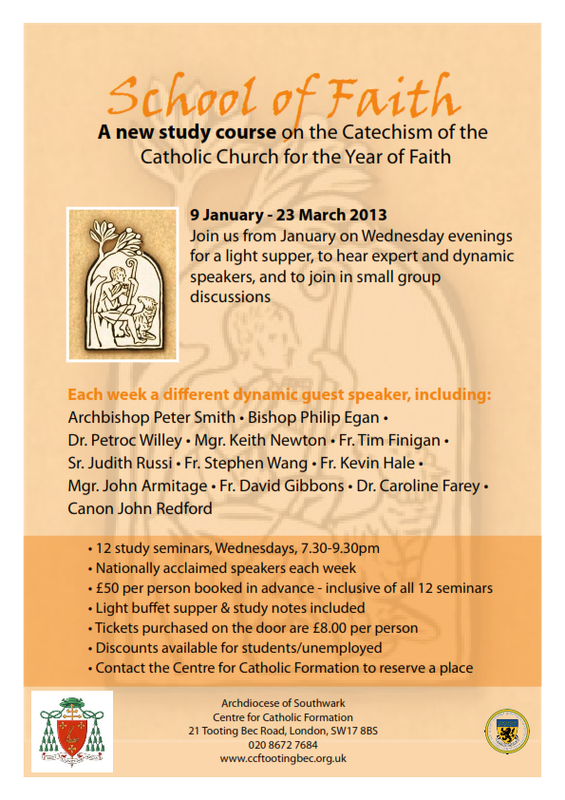 Congratulations to the Centre for Catholic Formation for organising such a successful course.